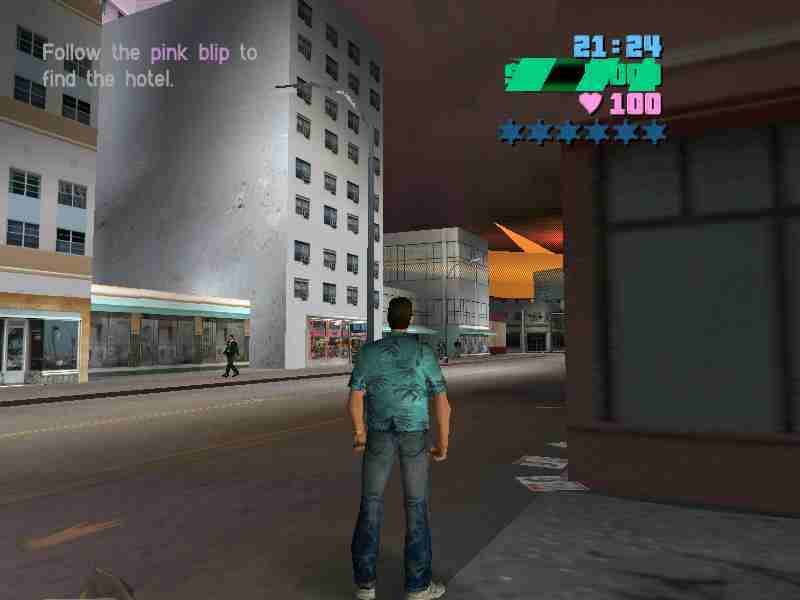 After I installed these drivers Vice city seems faster but it's glitchy. The screen flashs with triangles, it might be related to T&L. As u can see in the top right corner the sky is strange. I presuem that you are running DX8 or later, and that the game is using DirectX. When I installed the amigamerlin drivers again to compare I did not have this problem at all. well, to be more accurate everything was flashing on the screen, when I took that screenshot u may notice the missing Radar and dark retangle shading behind mission statement about the pink blip. Do any DirectX games run on your machine using this driver i.e. under XP, does Amigerlin produce problems with these games. Are you running 3Dalayze or any such thing when running with these games. Any more information that you can supply to clarify the position would be appreciated. I have tried Unreal II Awakening under Win98 with the last 3dfx beta's, and also under win2k, with the last 3dfx drivers, and it freezes when the game is finishing loading. I have tried it with my latest test drivers under w2k and it seems to work. Ar least it makes it to the point where I can move around and talk to characters. This may be fixed in the next version. I try to translate the message to english the next time..... and I'll post..
Thats exactly were I had Unreal II hanging under Win9x and W2K aswell. I think that it is due to something that I had already removed from the driver code after the Alpha 2. As I said it works with my current code, which is post the Alpha 2. Thanks for the feedback anyway. @Kyon: Try with 3D Analyze and the "Voodoo Flicker Fix" option. Just a suggestion. Is this dirver working with voodoo3? What are the new feauteres or/and fixes? This version doesn't run on Voodoo3's the next version should. which feature of 3D analyze would u suggest? Can't remember exactly, but somewhere there should be a "Voodoo Flicker Fix" option, in amongst a few other video-card specific fixes. Personally I can't get 3dAnalyse to work under W2k. It keeps coming up with a failed to inject Dll error. The next version of the driver should be available soon, subject to testing going ok.